Toddlers and preschoolers often have a difficult time understanding who’s who in their family. If there’s a family reunion or holiday gathering, children can be very uncomfortable seeing relatives they feel unfamiliar with. Working with a family tree can not only help children feel more comfortable greeting relatives, but it can also give them a better sense of where they come from. I want to be sure my 2-year-old granddaughter, Zoey, feels comfortable with family members and begins to learn about her interesting family history. 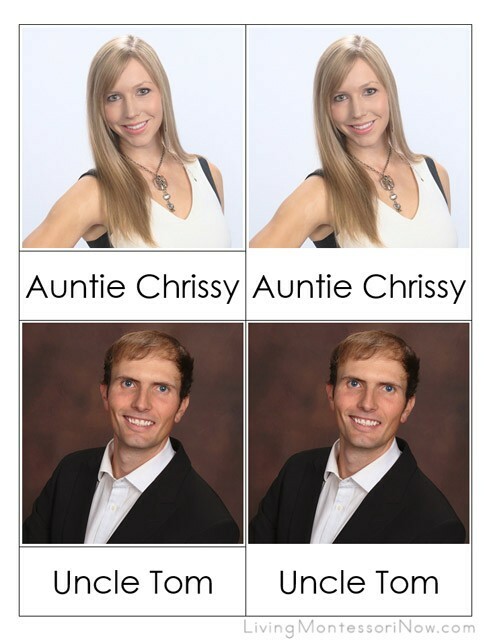 To prepare the 3-part cards, I first cropped photos of family members into square headshots. For the 3-part family cards, I like to use photos of parents, grandparents, aunts and uncles, cousins, and great grandparents. This is an incredibly helpful activity for toddlers and preschoolers, especially when they don’t see some of their relatives very often. Even if they do see their relatives often, this is a high-interest activity because of the family photos. You can use the names your child uses to address family members or the names you would like him or her to use. If you don’t know how to make 3-part cards, you can learn from the free 3-part card tutorial Jo Ebisujima created. 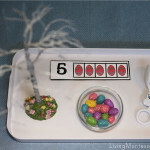 If you just need a template, there’s a simple-to-use Montessori 3-part cards template from Titus 2 Homemaker. Depending on your child’s age, your child can match the photos or the photos and words. Because Zoey loves DIY books so much, I used the control card from each set to make a “My Family” book. I just printed the cards on cardstock, laminated them, and used the control part when I cut them apart. I punched a hole in each page and attached the pages with a binder ring. 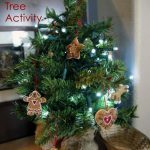 The free printable family tree I decided to use for the family tree activity comes from A Year of Family Home Evenings. You’ll find the link to download the free printable in the rectangle near the top of that post. I added aunts and uncles to the tree. If you just want a simple colored tree, you could download a free printable like this tree clip art by revidevi at Teachers Pay Teachers. For a very large family, you’ll probably have to draw your own tree. 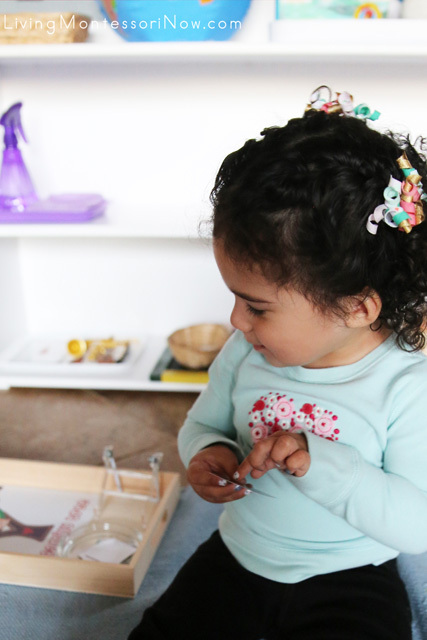 A hands-on family tree activity can be a good way for young children to start understanding their family history, although it is a difficult concept for a toddler to understand. I mainly used the family tree to start giving Zoey an understanding of how the family is connected. 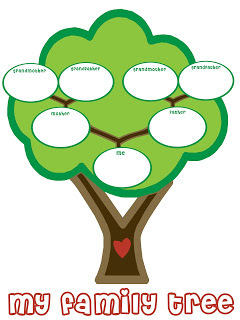 I used Paint Shop Pro to create the family tree with the printable. I added the square photos I used for the 3-part cards to the printable. You should be able to do this in PicMonkey as well. If you prefer, you can glue photos to the printable instead of adding them digitally. I printed out and laminated two copies of the family tree. After that, I cut out the individual photos from one. 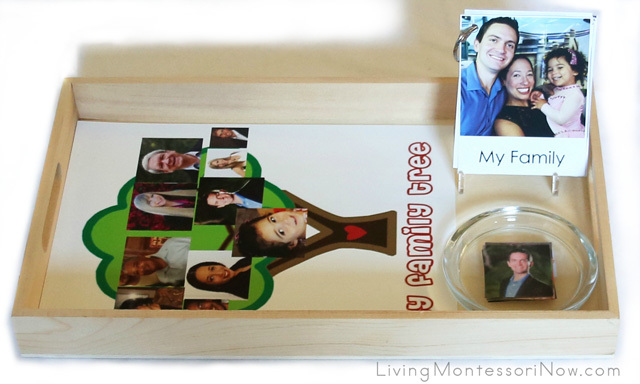 I placed the family tree and small photos along with the “My Family” book on a wooden Multicraft tray. Zoey was excited to discover the tiny photos that matched the ones on the family tree. Then Zoey concentrated on matching up all the photos to the ones on the family tree. I love that a family tree activity is one that can grow with Zoey. As she grows older, the family tree can become much more elaborate. Zoey has an interesting multicultural family history that she can study in as much depth as she wishes. In my post “The Very Best Montessori-Friendly Books for Babies and Toddlers,” you’ll find one of my favorite ideas for introducing a child’s life history to very young children. And the Montessori birthday celebration of life ceremony is an awesome way to review and celebrate a preschooler’s life each year. 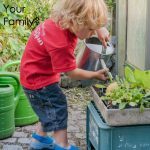 If you’d like to know more about helping your child feel more comfortable with relatives, I have a post with ideas on how to help your child feel comfortable greeting relatives. 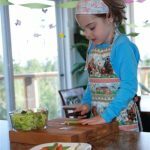 If you’d like more social graces lessons your child can use for family gatherings, see my post with Montessori-inspired Thanksgiving ideas. For grace and courtesy ideas to teach children ages 2-12, you can find my eBook Montessori at Home or School: How to Teach Grace and Courtesy on Amazon. 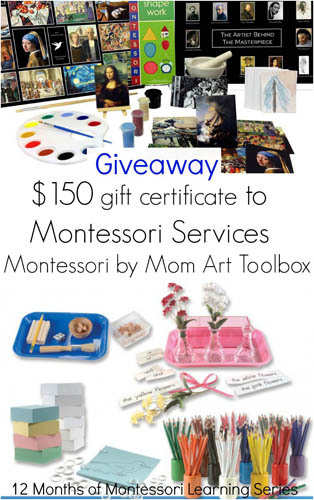 12 Months of Montessori Learning Giveaway! The giveaway has now ended. 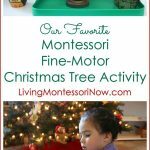 I’m excited to be one of the co-hosts of the 12 Months of Montessori Learning Giveaway! The giveaway is open to residents of the U.S. and Canada and ends November 30. You must be 18 or older to enter. 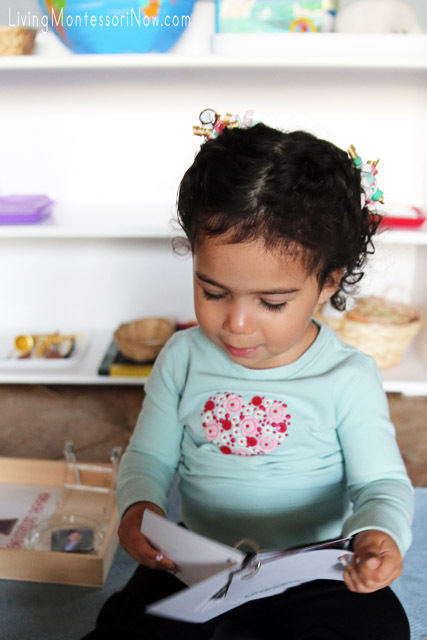 Should Montessori Education Have a Place in Your Family? I would like to get the Peg Loom for my granddaughter. Love love all your blogs! There is always great ideas you can take away from. Thanks! Would love the pouring sets from in the reviews. 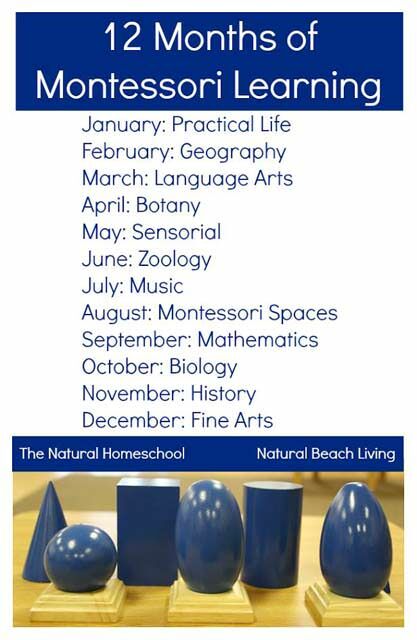 Love everything from Montessori services. The punching sets is something I’d also like too. Such a great idea! Can’t wait to make these for my nephew. The Language Object Starter Set 2015-2016 would be sooo useful right now! I really like the large melissa and doug loom. I would love to win a wavy chopper. I really want the small natural work rugs and crumbed…. and lots of other stuff! Making family photo cards with the kids is a great activity. We love all the crafts you all come up with and share them all the time on our Polka Dot Design boards. Thank you for yet another day of inspiration. Keep them coming!